In lieu of flowers, you are invited to share memories of Larry at larry.burningman.org. We’ve also received inquiries about financial gifts. 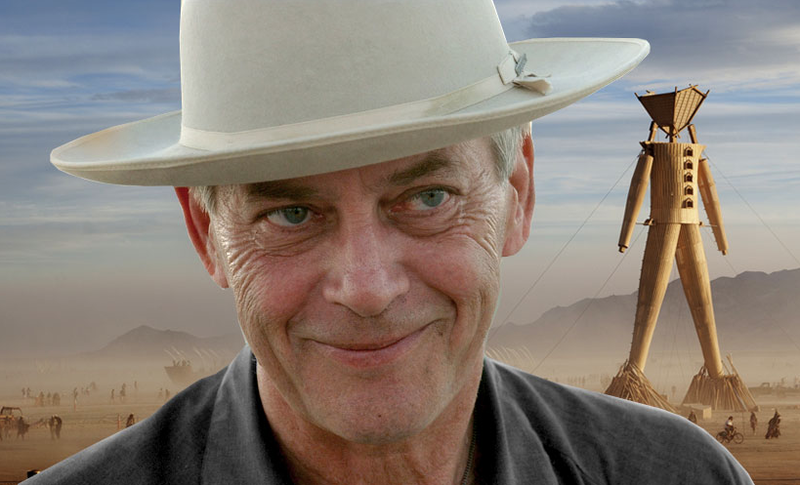 At the request of friends of Burning Man, Burning Man Project has established the Larry Harvey Art and Philosophy Fund to support art projects, philosophical endeavors, and other work that reflects Larry’s passion for the playful and the profound. Please see donate.burningman.org/art-and-philosophy-fund/ for more information. In addition, his brother Stewart Harvey has created a photo essay in his honor. I'm still in shock but I'd like to share this: This is my community and I'm truly saddened by the news. I fell into Burning Man in 1995, shortly after arriving to California, and was soon pulled into the greater shenanigans of the San Francisco Cacophony Society a month later. That was when I was reborn as "Rusty Blazenhoff" (I arrived to the Bay Area with a birth name). I have Larry and all the early playa pioneers to thank for giving me a space to be me. Without Burning Man, I feel certain that I would not be the "professional free spirit" I am today, and that includes being a blogger for Boing Boing. So, thank you, Larry. You are missed already. As my longtime friend Juke, who I met through the Burning Man community oh-so-many years ago, writes, "We're gonna need a bigger temple..."